Expanded scenography is everywhere. 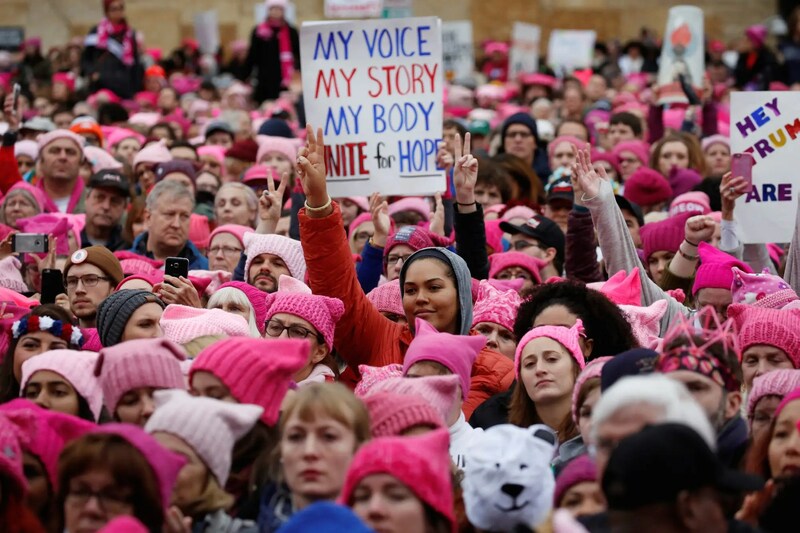 On the streets, in hospitals, at airports, parks and shopping malls and most recently, in the form of knitted pink beanies and protest banners at political rallies. Space ‘performs’ in the everyday, quotidian, and the mundane, providing much inspiration for scenographers both in and beyond conventional theatre. While it could be argued that ‘expanded scenography’ has existed since the beginning of human culture, performance design’s focus on the ‘expanded’ over the last decade has opened up new approaches and artistic insights. Gone are the days when being a stage designer was restricted to ‘working on other people’s shows’ in traditional theatre spaces. Instead, scenography now represents an exciting pathway for imagining and inspiring new realities beyond the confines of the theatrebuilding and its (often elite) audiences (Beer, 2017). 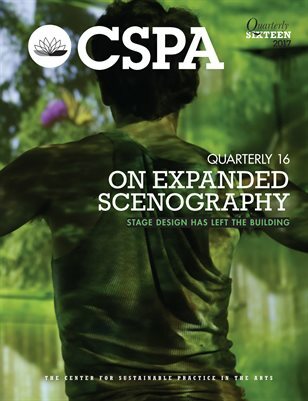 I recently had the pleasure of editing the newest edition of the CSPA Quarterly on ‘Expanded Scenography’ with fellow ecological artists Ian Garrett and Meghan Moe Betiks. Expanded Scenography is an emerging area in the field of stage design that is being increasingly embraced. But what is it? ‘Scenography’ is already a contested term, with multiple definitions, but essentially one that describes the art of creating performance environments. Since the last half of the 20th Century, the term ‘scenography’ has rapidly replaced ‘stage design’, ‘theatre design’ or ‘set design’ in contemporary performance scholarship, and now represents a progressive field that is moving far beyond traditional scenic illustration and naturalistic representation. I use the term ‘expanded scenography’ to acknowledge an increasing number of performance designers working outside of traditional theatre, and whose passion for socio-ecological issues is at the core of their practice. Expanded scenography uses scenographic strategies (i.e. spatial, narrative, dramaturgical, performative and multi-sensory) as a way of engaging with the world beyond the theatre. I like to think of expanded scenography as stage design that ‘has left the building’ to intersect with daily life. The idea of scenography ‘leaving the building’ can be both literal and metaphorical, but the central premise is one of questioning normative practices and re-imagining what scenography is and what it can become. It is not bound to the schackles of theatre buildings, disciplinary rhetoric and formal expectations. Here, the scenographer is seen as both a designer and artist in their own right (as well as a producer, facilitator and instigator of creative work). Ecoscenography works across both in expanded scenography and ecoscenography, but it is in the ‘expanded’ realm that I am finding myself the most these days. Perhaps, it is because the ‘expanded’ allows me to be free to explore the possibilities of ecoscenography — to create new ways of working that integrate ecological thinking without the constraints of unsustainable conventions of the mainstream. For example, projects like The Living Stage and This is not Rubbish could be described as ecoscenography within the realm of expanded scenography. I hope that one day I can also create ecoscenographic designs in more traditional settings. I want to demonstrate that ecological projects can also take place in the beautiful theatres that first inspired me as a young artist. Regardless of whether designers want to work across conventional or in more expanded contexts, one thing is clear: opportunities for performance designers have never been more diverse and inspiring. I look forward to seeing more scenographers using their theatre training to explore the potential to expand their practice outside of traditional contexts in the coming years. Our special issue on ‘Expanded Scenography’ features artists who have ventured outside of the more traditional boundaries of theatre-making and performance design to find their own way of responding to the complex problems that haunt us in today. While incredibly diverse, it is our collaborative desire for contributing to the wider world and being part of the political debate as artists in our own right that unites us in this issue. We hope that this publication opens up discussions that reframe traditional perceptions of scenography and introduces new audiences to its potential. The full journal edition can be accessed here. More information about Expanded Scenography can be found here.